NASA Launches Mars InSight Lander [VIDEO] - Joe.My.God. With the orange flames of its engine lighting up the foggy sky for miles around, a car-sized Mars lander rocketed into space early Saturday in a first-of-its-kind launch from California on a mission to probe beneath the surface of the Red Planet. The nearly $1 billion Mars InSight probe blasted off shortly after 4 a.m. local time, roaring south down the coast to the delight of crowds gathered on beaches and church parking lots to watch in the pre-dawn darkness. 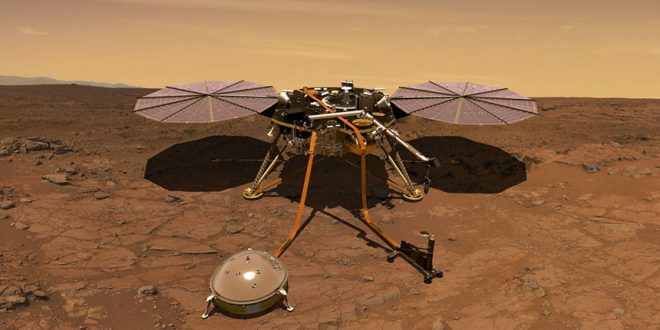 The lander’s two-year mission aims to understand what makes the Red Planet like Earth and help advance the search for new homes for our species.